Do you like earrings that clack together when you walk? 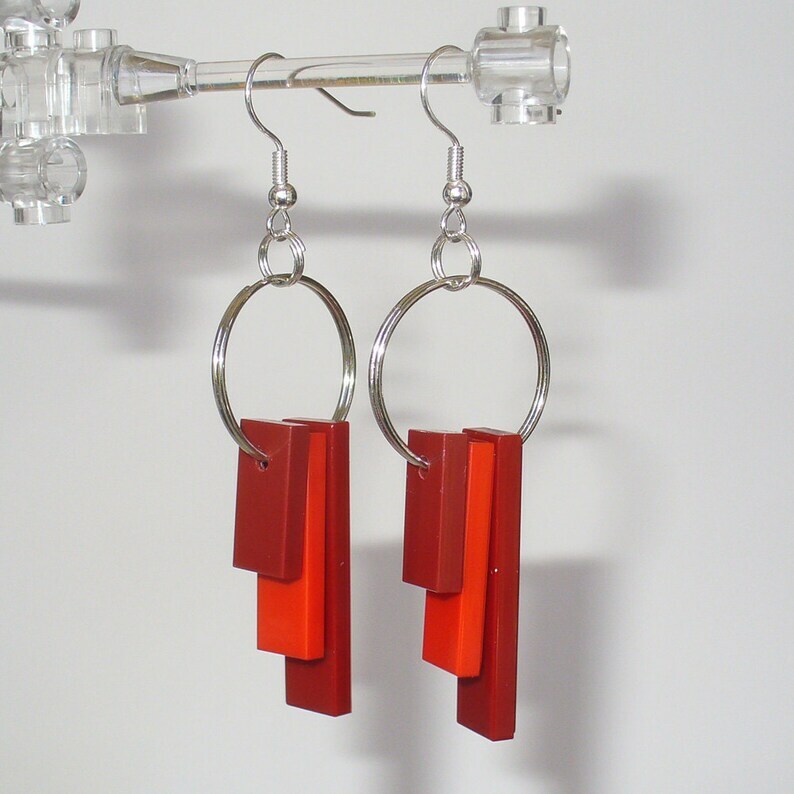 Then try these Red and Dark Red Triple Tile dangle earrings made from LEGO® elements. They're fun, elegant, and just the thing to complete an outfit.